Busy and populous yet beautiful and charming is Harare- the capital city of Zimbabwe. It is the industrial and commercial center of Zimbabwe. The combination of mild, cool and hot weather conditions makes it the best place for tourists. The open woodlands make amazing landscapes that attract the attention of nature lovers. Varying rainfall patterns makes different kinds of plants and flowers to grow at different times in a year. This feature enhances the beauty of the region. Just for being a great city with a number of tall and beautiful buildings are seen. What you must see whenever you come to it are the galleries and museums. Balancing Rocks in Matopos National Park is the famous feature known for its uniqueness. National Gallery of Zimbabwe and Zimbabwe Museum of Human Sciences are the best spots for those who love to explore and are interested in research. Moreover, woodlands, wildlife, and gardens are the noteworthy sites. Tall, beautiful and historic buildings have their own beauty while monuments get your attention even if you do not intend. Accommodation, food, and entertainment are luxuriously provided to the visitors. You are quite excited by the Harare's beauty which is maybe still a part your imagination. 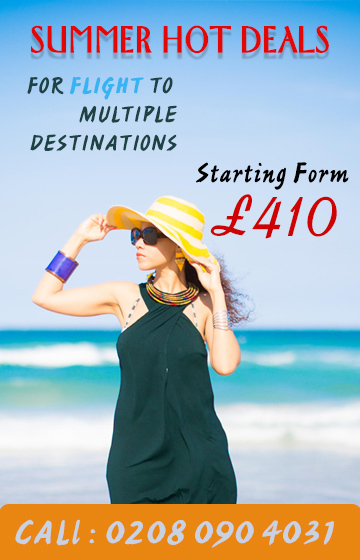 Travelwideuk.co.uk is taking you out of your imagination into reality. The cost of the ticket is cut down to your affordability. Now feel the pleasure of having a wonderful trip to your chosen destination. Now the cost is no more an issue for you just joins us for making your tour fantastic.